US Navy Carrier Strike Groups depart on world cruises on repeating cycles. The 2004 Composite Training Unit Exercises off San Diego also called COMPTUEX were in preparation for deployment to the western pacific and Mediterranean in support of the Gulf Wars. The 2005 Cruise Book features a yearbook like layout with photos of all the sailors from the ships. In this section the Black Aces Squadron is shown with CDR. 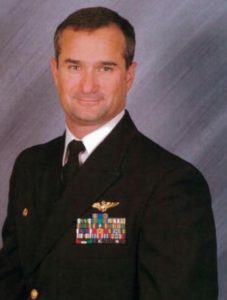 David Fravor as commanding officer. Ret. 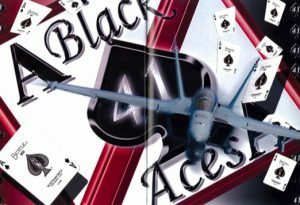 Commanding Officer of VFA-41 "Black Aces"